Create your own My Little Pony statuette with this officially licensed My Little Pony Chromies set. 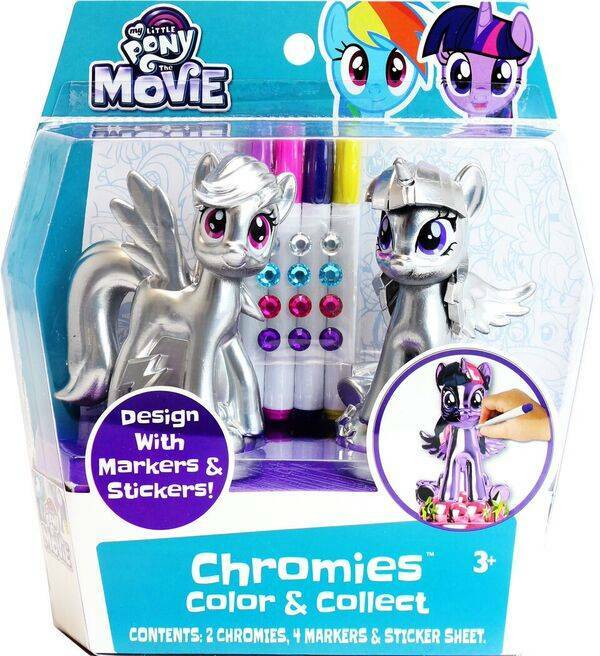 Includes 2 ponies from the soon-to-be-released movie, 4 markers for coloring and a sticker sheet for extra glam. Now your kids can have their own version of a my little pony to decorate and display in their room. A great rainy day activity, kids and adults will both love designing their own pony character!